style: Jumbo Box Braids, Goddess Locs Crochet Hair.Material: Kanekalon Braiding Hair is made of high quality heat-resistant fiber synthetic hair. 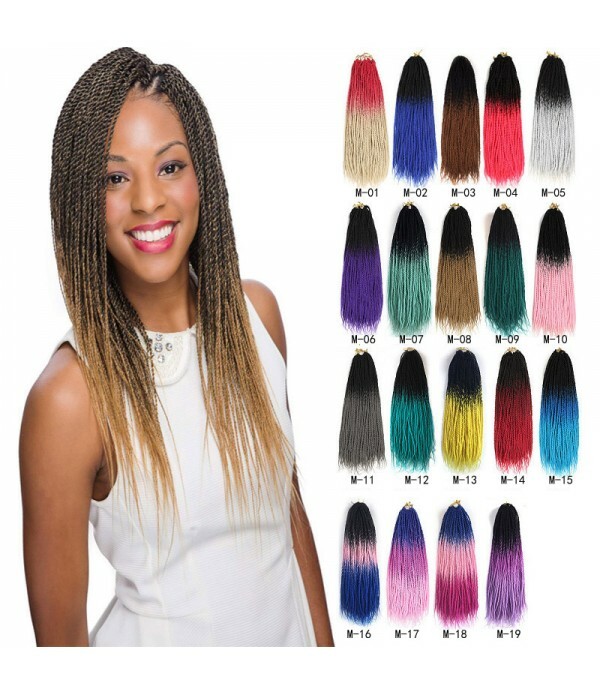 The hair is natural feeling, lighter, softer hair with more natural body complements modern fashionable lifestyle today.hair color: B..
Material: Synthetic Hair,False hair,Fake hair.Type: Senegalese twist hair,Hair Extension.Color: 19 colors optional, as shown in the picture. 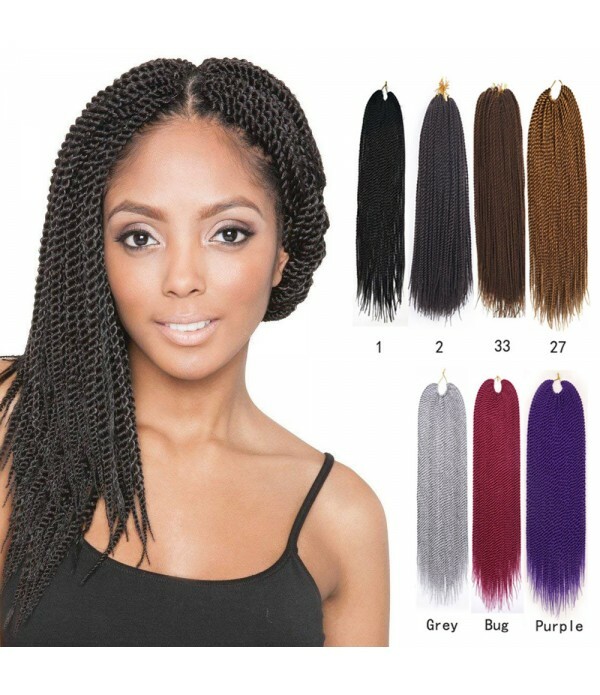 Single Color and multi-color Havana Mambo Twist.Package: 3 Pcs/Lot, 20 Strands/pcs, 24 Inch long.Hair Extension Type: No Attachment(Bulk Hair).Net Weight:..
Package: 3 Pcs/Lot, 20 Strands/pcs, 20 Inch long.Color: 7 colors optional, as shown in the picture. 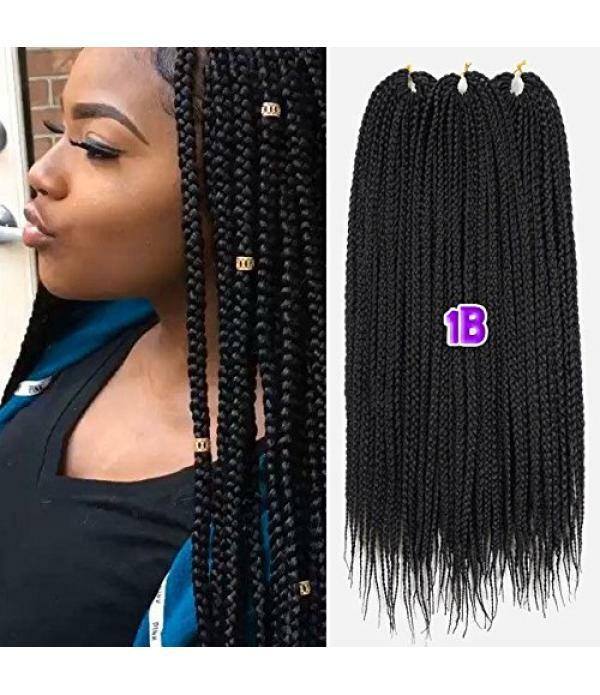 Single Color Havana Mambo Twist.Material: Synthetic Hair,False hair,Fake hair.Type: Senegalese twist hair,Hair Extension.Hair Extension Type: No Attachment(Bulk Hair).Net Weight: 100 g±5 g.Qualit..
1. Hair Material: 100% synthetic kanekalon high temperature fiber. Crochet twist Ombre braiding hair2. 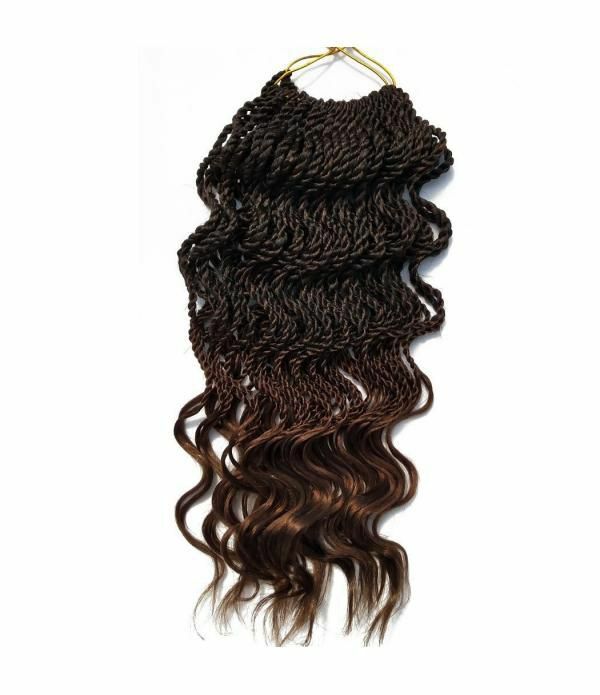 New Style: Wavy Senegalese twist hair with free ends. Size:18 inch. Color:T1B/30# . Weight: 80g/pack. Package: 6packs/lot ( 35 strands per pack).Normal 6 packs make a full head.3. Features: Not rou..